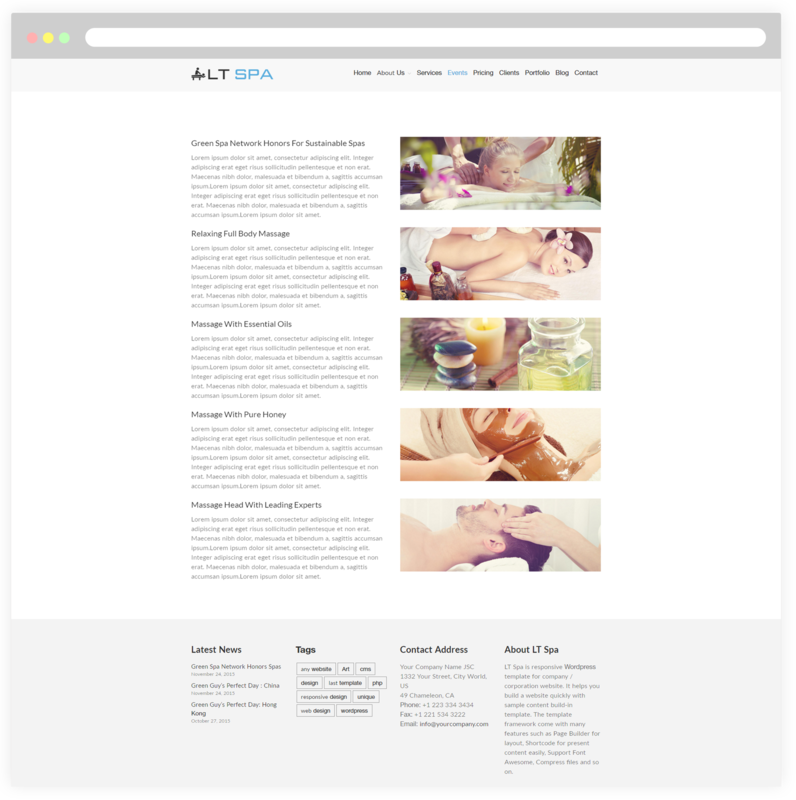 Spa WordPress theme with customizable and responsive designs which allows you to change every aspect, create an interesting design and appeal more visitors! 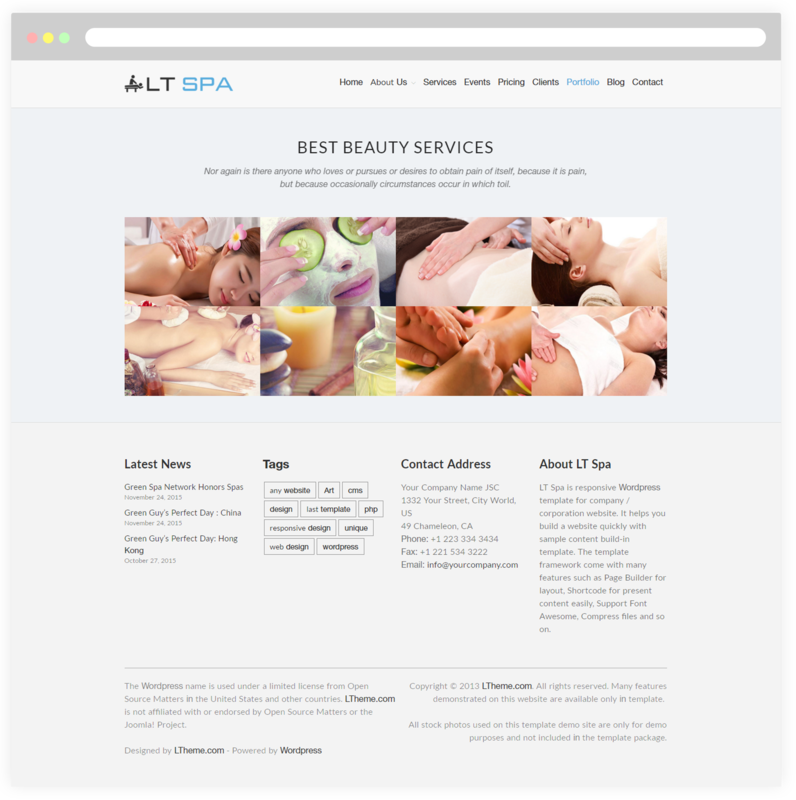 LT Spa is a Responsive WordPress theme that is well-suited for sauna, beauty or any health related website. 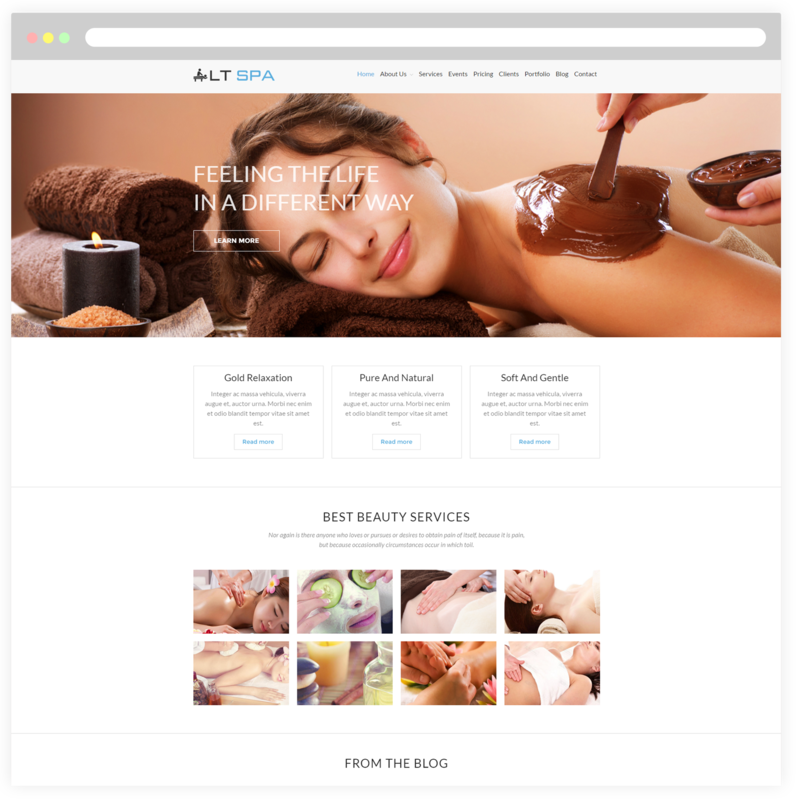 This theme design is very elegantly with fascinating looks, stylish and fancy colors, which will be an ideal for massage businesses, nail salons, facial treatment, skin care, day spa and much more, overall, it is used to showcase and promote your spa center in the alluring way. 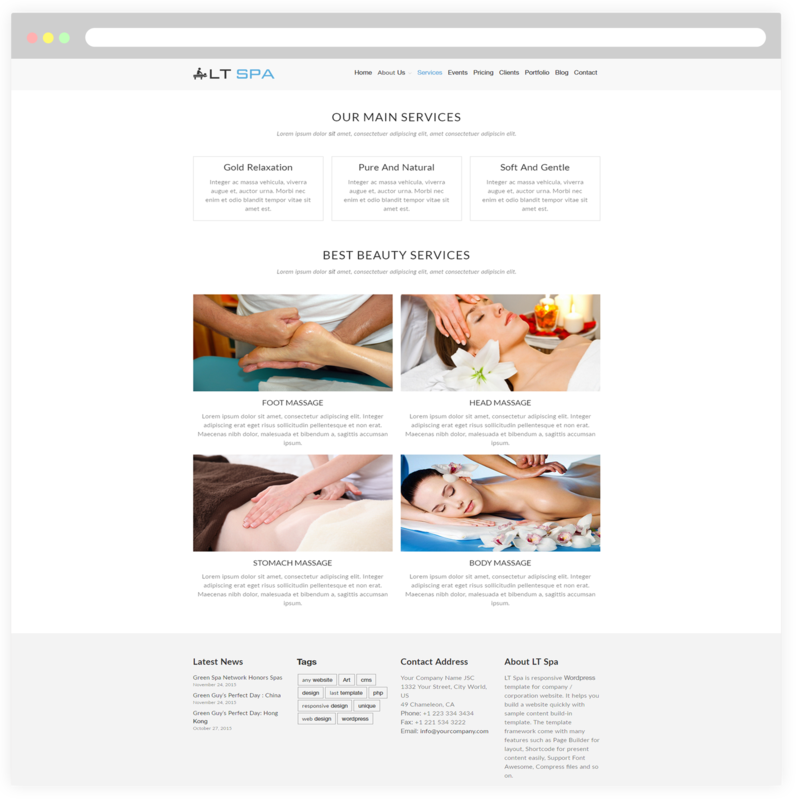 LT Spa is fully customizable with advanced options support like drag-drop layout content, Bootstrap CSS & Genesis framework, besides, it also supports 100% responsive layout to showcase your site perfectly on all mobile devices. There are also more interesting features waiting for you to discover! 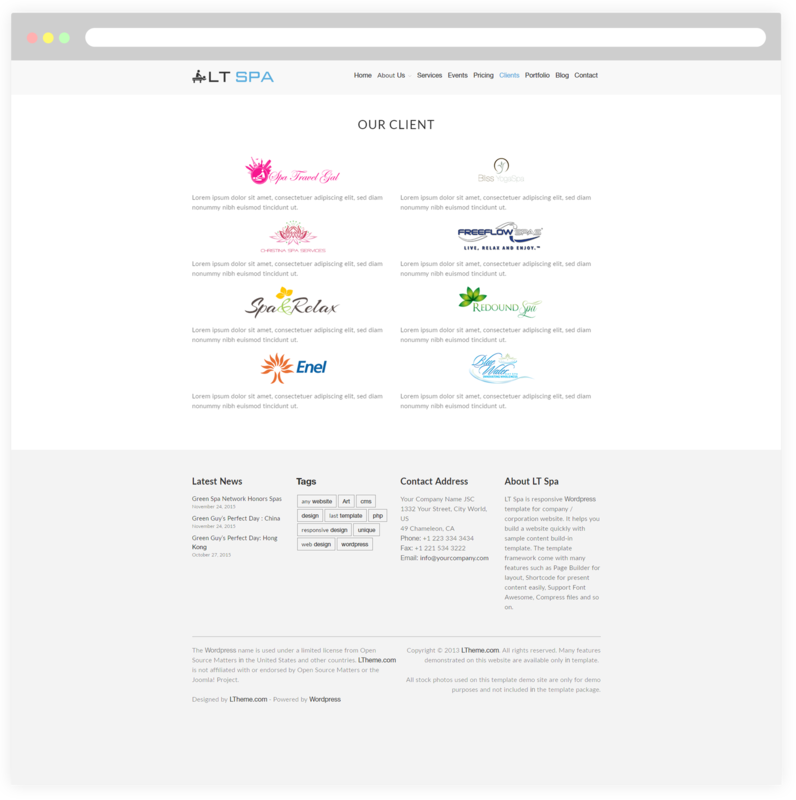 Support your business and help it grow with a gorgeous web presence! 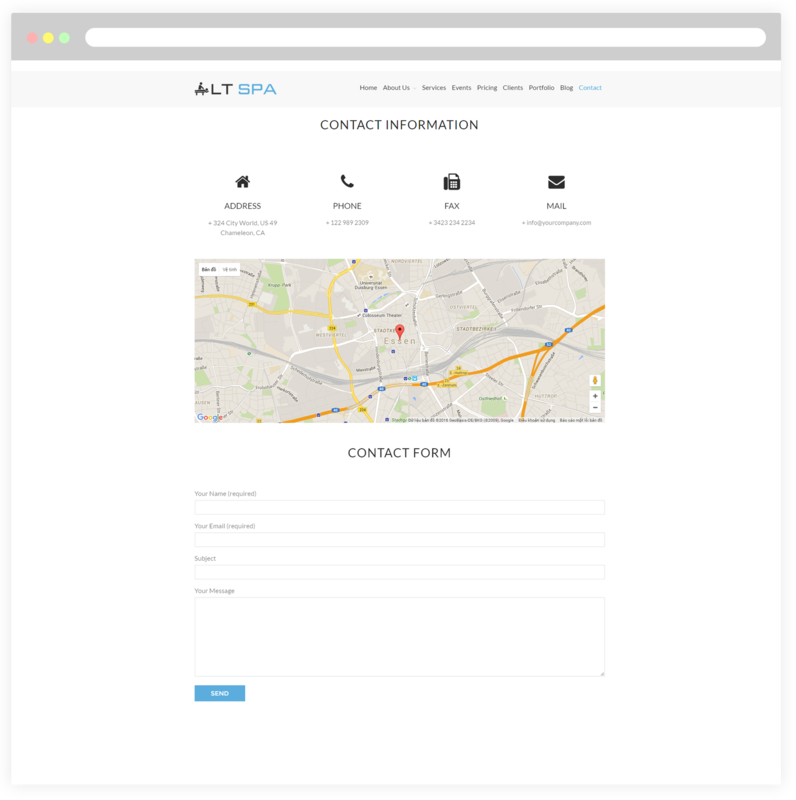 This page will help you send your congratulations to customers who selected your company’s services package. Furthermore, introduce the dynamic and talent team member of your company to them. 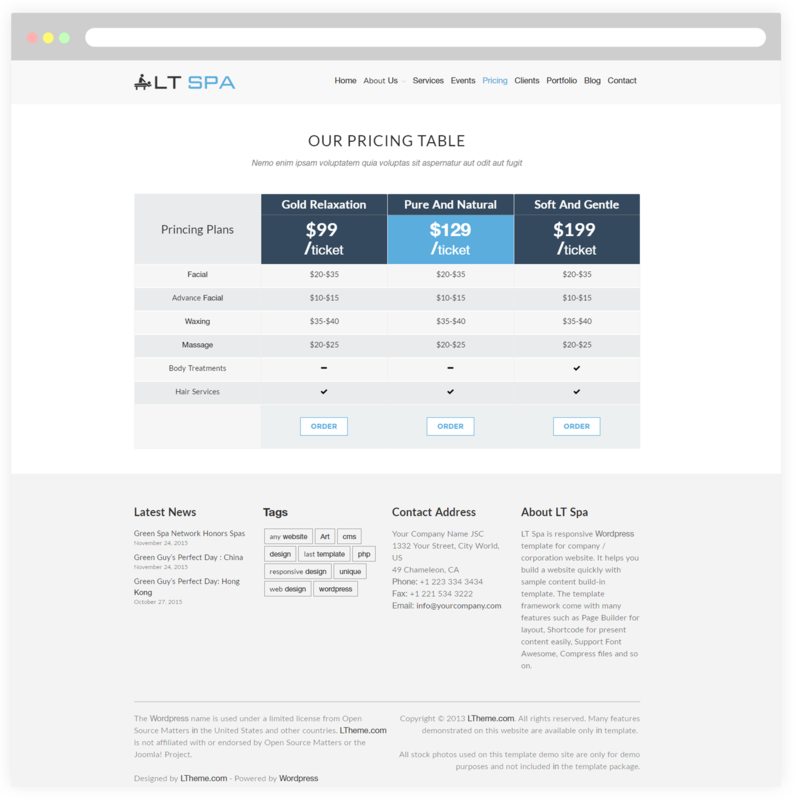 This is a preview of the pricing table we’ve designed for your spa package. You can update different prices that your customers can choose the ones they want. It’s simply to customize columns/rows and manage the pricing table from its built-in admin panel. 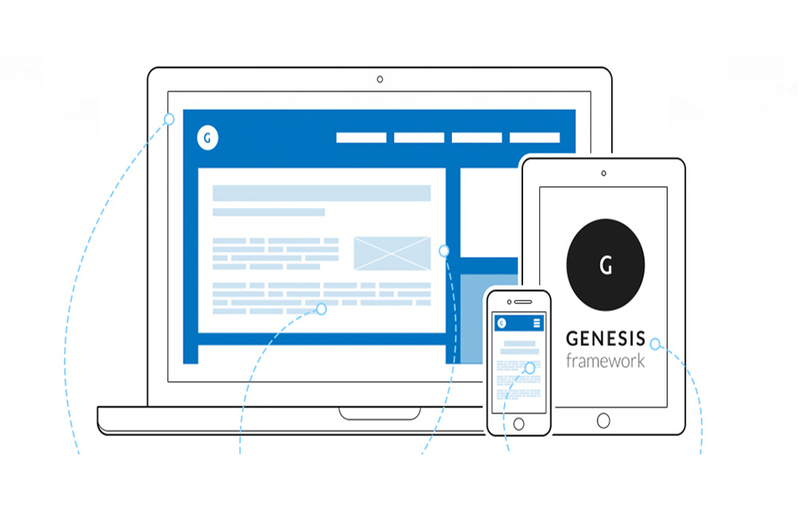 Portfolio page showcases gallery about featured projects of your company for your customers. It allows you to categorize and tag your projects in a way that doesn’t overlap with the rest of your posts. We offer various creative designs in an eye-catching manner for portfolio page.